The Flemish Peace Institute is an independent institute dedicated to peace research and hosted by the Flemish Parliament. The Peace Institute offers internships to students and recent graduates. Interns are introduced to the particular dynamics of an independent research institute in a political environment. An internship has a 3-month duration (January-March, April-June or October-December). During this period, the intern cooperates with the staff in the research programme's of the Scientific Secretariat. Het Vlaams Vredesinstituut is een onafhankelijk instituut voor vredesonderzoek bij het Vlaams Parlement en organiseert binnenkort een selectieproef voor de aanwerving van een onderzoeker “vredesopbouw in buitenlands beleid” (m/v). Het betreft een arbeidsovereenkomst van bepaalde duur met contractuele aanstelling voor 6 maanden; aanvang tewerkstelling op zeer korte termijn. The Council of the EU is the institution representing the member states' governments. Also informally known as the EU Council, it is where national ministers from each EU country meet to adopt laws and coordinate policies. The General Secretariat of the Council (GSC) is responsible for assisting the European Council and the Council of the EU, including its presidencies, the Permanent Representatives Committee (Coreper) and the other Council committees and working parties. The GSC offers different types of traineeship. The Netherlands Institute of Human Rights of the Faculty of Law (SIM), Economics and Governance of Utrecht University is appointing a Postdoctoral/Senior Research Fellow for the project entitled ‘Fostering Human Rights Among European (External and Internal) Policies (FRAME)’, funded by the European Union. Frame is a large-scale collaborative research project conducted by nineteen research institutes from around the world. Research within the FRAME project aims to inform EU policy-making. The Human Rights Law Centre at the University of Nottingham is inviting applications for the post of Research Assistant. The successful candidate will join a small team of academics, consultants and support staff and assist in the planning and implementation of human rights projects, which include training courses, workshops, conferences and research projects (both in the UK and overseas), as well as the publication of several human rights journals and books. war crimes, and crimes against humanity through a commitment to the core values of human rights and justice. The Max Planck Foundation for International Peace and the Rule of Law (MPFPR) is based in Heidelberg. It continues the extensive consulting, training and research projects of the 'Global Knowledge Transfer' working group, which existed from 2002 to 2012 at the Max Planck Institute for Comparative Public Law and International Law (MPIL). Within the framework of its research activities, MPFPR carries out several 'Global Knowledge Transfer Projects' in various countries. MPFPR projects focus on capacity-building and academic research in the fields of public international law, comparative constitutional law and the rule of law in countries in transition. Research fellows are engaged in legal research, the organization and conducting of project activities such as workshops, as well as liaising with local project partners. A postdoctoral position in the study of the relationship between judicial independence and human rights in new democracies is available at the Netherlands Institute of Human Rights (SIM) of the Utrecht University. 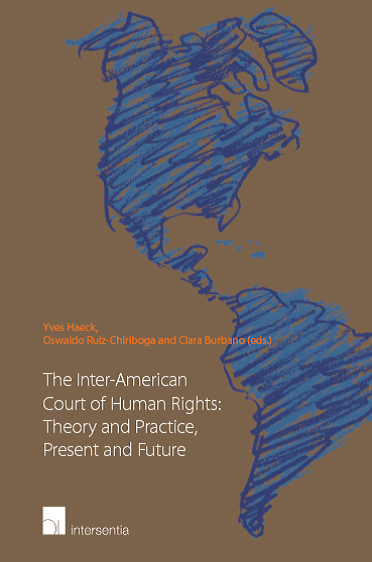 The postdoctoral researcher will be undertaking research activities to support the Prince Claus Chair, Professor Javier A. Couso, professor and director of the Constitutional Law programme at the Universidad Diego Portales in Santiago. 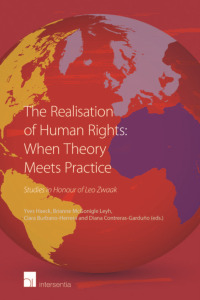 This degree, offered by the Human Rights Consortium at the School of Advanced Study, University of London, is the longest-running interdisciplinary, practice-oriented human rights Master's programme in the UK. Its priority is to equip students with practical skills, such as advocacy, research, and fundraising, essential to working in the field of human rights to enable them to build a human rights career. This Master's degree is therefore particularly suitable for individuals who are, or seek to become, human rights practitioners in the NGO, governmental and inter-governmental sectors. Our degree is praised by employers for providing the necessary practical skills human rights organisations need, making our graduates highly employable. Upon graduating, students will receive a degree awarded by the University of London. The Office of the United Nations High Commissioner for Refugees offers assistance and protection to refugees around the world. UNHCR is one of the largest refugee agencies, with a staff of over 6500 employees who help some 20,8 million people in over 116 countries.